This is a shout-out to you, gambling enthusiasts who enjoy traveling. We have created a list that allows you to combine your two passions. So when you plan your next vacation, glance at it. The ten very best casino hotels in the world will definitely meet your gambling requirements. These establishments will provide you with world-class accommodation while allowing you to indulge in your favorite pastime. They combine a vast number of guest rooms and suites, along with a variety of activities, with a wide range of high-quality casino games. Every gambling aficionado with a passion for tourism would consider such a place their own secluded paradise. These resorts exist all around the world. Therefore, regardless of your location, you are always one flight away from at least one of them. You can choose from a variety of options, according to your preferences, and spice up your gambling experience, as well as your next vacation. So without any further ado, we will dive into the list and describe for you the most luxurious casino hotels in the world. You are about to get an insight into the most lavish gambling destinations on the planet. Sun City is a glorious resort that resembles a town within a town, or a world within a city, as advertised. It combines relaxation and thrill of gambling in the most extraordinary way. It is located in the Northwest Province of South Africa, and it contains numerous entertainment possibilities, such as golf, safari, and water activities. The resort comprises four hotels that offer great accommodation. Each of them is unique in their own way, and they all have a different atmosphere. The Cabanas is the most affordable out of all of them. It is the perfect hotel for a family vacation, as it features a number of activities for children. In addition, Cascades is a luxury hotel that radiates the atmosphere of its tropical surroundings. You can consider it a modern take on an Aztec temple. 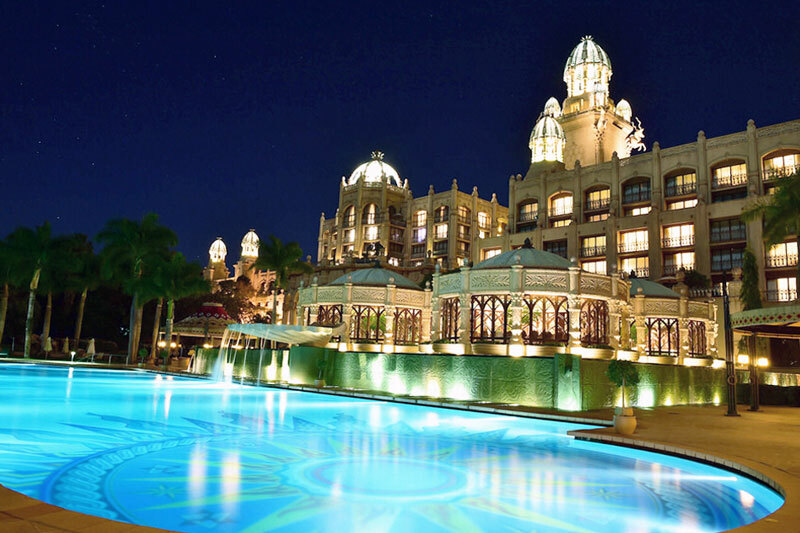 Moreover, the Palace of the Lost City, as the name suggests, is an African mythologically-themed hotel. All in all, the Soho hotel is for all of you who are looking for relaxation more than anything else. It is perfect for absorbing the sun and indulging in the calming effects of its spa treatments. As for the Sun City gaming space, the casinos incorporated into the complex offer a wide range of games. The gaming space actually comprises more casinos, situated within the hotels. The progressive slot machines, classic card games, and Roulette all radiate the atmosphere of a luxurious land-based casino. Regardless of your skill, you will find something that suits you within the Sun City gambling venues. Downtown Grand is a casino hotel in Downtown Las Vegas. It was previously known by the name Lady Luck Hotel and Casino. This resort was renovated just a few years ago, which means you will get to enjoy the newly furnished rooms and suites located in their two towers. The East Tower is connected to the casino’s ground floor. Needless to say, the complex offers a wide range of services in order to cater to their guests’ every need. 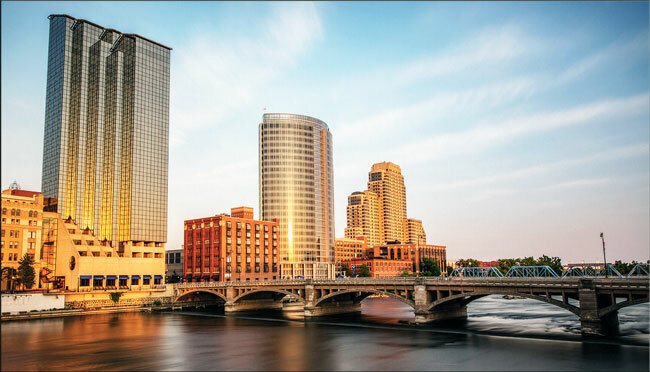 Other than lavish rooms organized in three categories — premium and deluxe rooms and grand suites, Downtown Grand offers nine bars and restaurants, as well as Citrus — a rooftop swimming pool. And when it comes to the gambling venue this complex includes, we are talking about a 24,085 square feet of casino floor which has a vast number of different games to offer. So whether you prefer video games to live ones or vice versa, Downtown Grand has something for you. There are over 500 slot machines, with some of the most popular classic titles readily available, as well as a range of video poker options. As for the table games, you can choose from a variety of them, such as Craps, Roulette, or Blackjack, or even enter a poker room and play one of the variants of this classic game. Along with casino games, you can engage in sports betting and wager on your favorite sports events. In addition to everything we have mentioned, Downtown Grand features the Grand Reward Offer. You may want to check it out and see what kind of rewards await you, depending on your game of choice. 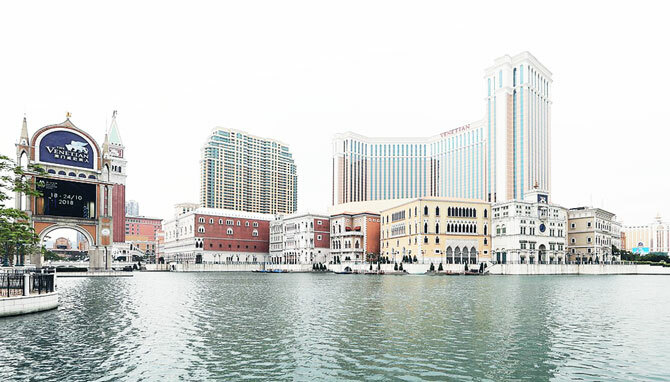 The Venetian is a resort located in the Macau region in China. Its proprietor is the Las Vegas Sands company. Not only is the Venetian Macao the largest hotel building on the Asian continent, but it is also the largest casino in the world. Out of 39 floors the Venetian contains, 31 have accommodation as their purpose. There are almost 3000 suites, Paiza ones included. The Paiza suites are the most luxurious ones and comprise the most services, as only premium guests can book them. The gambling venue within the Venetian Macao is a casino divided into four sections — Golden Fish, Imperial House, Red Dragon, and Phoenix. Each of them has a theme that corresponds to its name. Over 6000 slot machines and 800 table games are organized into those sections. Bellagio is one of the famous resorts located on the Las Vegas Strip in the state of Nevada. As the inspiration for the establishment was the Lake Como in Italy, Bellagio is famous for its splendor. Another feature that justifies the name of this complex is the lake situated between the building and the Strip. When you enter the building, you will see the sculpture Fiori di Como, created as a nod to the place after which the establishment got its name. This work of art comprises 2000 flowers and covers the ceiling of the lobby. Additionally, the hotel consists of two towers that contain almost 4000 rooms. Bellagio is famous for its poker room. Many experienced poker players commonly call it “The Office” because of the high table limits, such as the high-stakes Big Game. 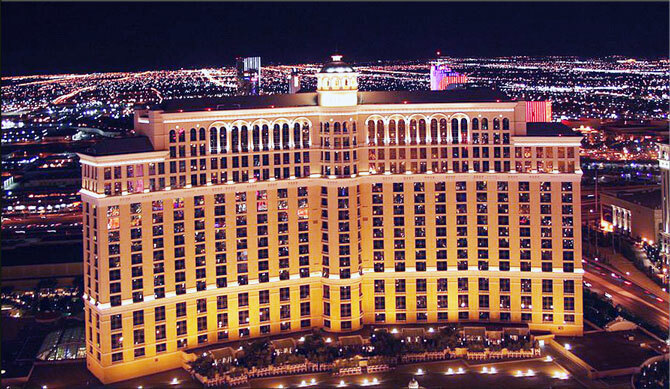 Additionally, Bellagio even collaborated with the World Poker Tour and organized poker tournaments along with it. This resort is operated by the Mashantucket Pequot Tribal Nation, as it stands on their reservation in Connecticut. It comprises two towers and over 2000 hotel rooms. You can easily plan a family vacation around your gambling trip to Foxwoods, as it features an arcade for children as well. While your children participate in various activities designed especially for them, you can choose from a wide range of options when it comes to gambling. On top of that, the Foxwoods complex includes as many as six casinos. Additionally, they feature five and a half thousand slot machines and a variety of table games, such as Craps, Roulette, Blackjack, and variants of poker. And when you feel like taking a break, you can visit one of the restaurants within the casino you are currently playing at. In that regard, Hard Rock Café is just one of your many options. The proprietor of this resort, along with the number 8 from our list, is the Las Vegas Sands corporation. Upon its opening, it was proclaimed the most expensive establishment of this type. Marina Bay Sands includes a wide range of facilities designed to make your stay as comfortable as possible. Among the variety of services, you will have shops, restaurants, theatres, art-science exhibits, and a museum. In addition to that, you will get to enjoy the infinity pool — the most famous commodity of this resort. Furthermore, the gambling section contains the largest atrium casino in the world. The wide range of different slot games and 500 table games complete its unique ambiance. 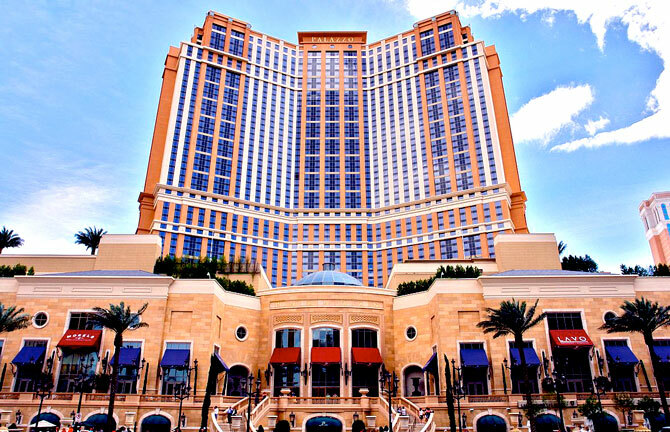 The Palazzo is among the most popular gambling venues, not just in Las Vegas, but in the entire state of Nevada. This complex represents the tallest establishment in the state. In addition to that fact, you will find it amazing to learn that the hotel within this complex is the second largest hotel worldwide. On top of that, the Palazzo is a reputable gambling venue, thanks to the vast number of games it features. Other than the high-limit table games, it comprises a 112,000-square-foot poker room that hosts daily tournaments. Additionally, the Palazzo is the only casino in the world that offers stadium gaming. Aside from the entertainment that are casino games, the Palazzo also hosts a variety of shows for your enjoyment. This resort is the epitome of relaxation and adrenaline rush that is the combination of a holiday and a gambling trip. Ibiza is an appealing destination by itself. And when you place a lavish casino hotel in the middle of such surroundings, your gambling experience gains a new form. Ibiza Gran Hotel provides high-quality accommodation and tranquility you will need on your getaway. You will also get to spoil your senses in various restaurants and a spa, and enjoy the scenery the gardens that surround the rooms create. Moreover, the Ibiza Gran casino offers a variety of games, such as slot machines, video slots, poker, even keno and bingo. Choose a game of luck or one that requires strategy, and then enjoy your favorite pastime in one of the most beautiful destinations in the world. As we are approaching the top of our list, we get to describe MGM Grand — one of the most famous gambling venues in the United States. There is a casino that bears the same name in Atlantic City as well. Not only is MGM Grand among the most popular casinos in America, but it is also the largest accommodation complex within its territory. Ultimately, it does not come as a surprise that we have placed this resort so close to the top of our list. MGM Grand has one of the largest gambling areas in the city of Las Vegas. Other than two thousand and a half video game machines, it features 139 table games, as well as numerous variants of poker. Their video games include slot machines, video poker, as well as multi-game machines. Additionally, there is a separate section featuring high-limit slot games that deliver payouts of up to half a million dollars. In addition to all the benefits MGM Grand offers to gamblers, it comprises a sports betting area with 24 large plasma screens. On top of that, the selection of sports you can bet on is rather diverse, as it includes soccer, football, boxing, MMA, and a variety of others. 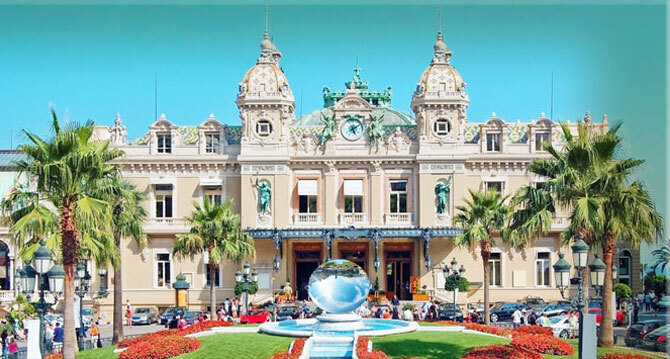 Finally, we have reached the best of the best, Casino de Monte-Carlo. This resort comprises a gambling venue and a hotel and is located in Monaco. It represents a must-visit destination for all the gambling enthusiasts. The spirit of royalty radiates from this complex, which does not come as a surprise, given that Monaco is a monarchy. The entire resort is specially designed for all those who have a taste for luxury. So indulge in the scenery and have a vacation worthy of a monarch. Gambling has been made into art within the walls of Casino de Monte-Carlo. The whole place was designed to stand out among the vast number of land-based casinos. So the moment you set your foot in this casino, you will be certain that it will guarantee a gambling experience you wouldn’t be able to experience elsewhere. There, the gaming tables you will get to play at were hand-crafted by the most reputable craftsmen. As for the game selection, there is something for everyone’s taste. If you enjoy games of chance and like spinning the reels, you can choose one of the various slots titles this casino has in store for you. And when it comes to table games, the selection is even larger. There are Roulette, both English and French, Blackjack, Craps, and a number of poker variations. If you decide to check this place out, you will marvel at its design and attention to detail. Not only will you have a blast, but you will also understand why we consider it to be the very best casino hotel in the world. As you can see, we have assembled this list with your enjoyment in mind. Being a gambler who likes to travel, you must have been seeking for the best way to combine the two. After careful consideration, we have decided that these ten resorts accommodate the widest range of interests. There are the secluded ones, the family-friendly ones, and the ones designed to appeal to those of you who appreciate art. Whatever your preferences may be when it comes to a holiday destination, you will find something suitable for you among our selection of casino hotels.